Reigning GP2 champion Pierre Gasly is currently contending Super Formula with Team Mugen and now joins Formula E for a one-off replacement of Sebastien Buemi in New York. From one driver with an awkward relationship with Toro Rosso to another, Pierre is the Red Bull Racing Formula 1 reserve and development driver, now into his second year of speculation about whether he will be offered a race seat. Things seemed set as he clinched the GP2 victory before the announcement was made that Toro Rosso would keep troubled Daniil Kvyat, sending Pierre to Japan to wait. 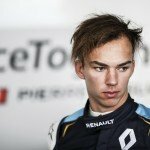 Without prior experience of Formula E or a formalised reserve role, Pierre will be stepping into the car for the New York ePrix for the first time – a daunting prospect, especially as performance has to be expected in a car as competitive as the Renault e.Dams but Gasly is a racer who frequently excels under pressure. Prior to his GP2 win with Prema he had contested the championship’s previous year with Dams (as teammate to fellow New York FE debutante Alex Lynn) and won Eurocup Formula Renault in 2013.